One man is determined to claim her, the other is destined to love her. 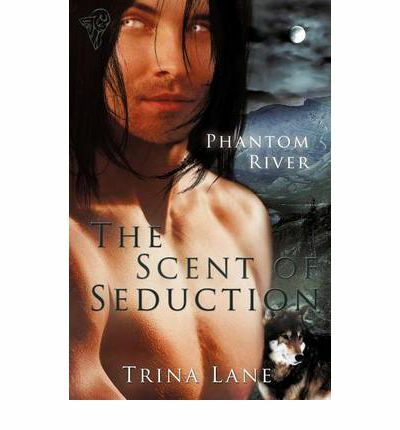 Phantom River Alpha Jaryn Chaunterel is struggling to find a balance between his duties to his pack, his business, and orders from the American Shifter Council to solve the mystery of why wereshifters of all species are disappearing from around the country with little or no trace. He can't help but feel that the long sleepless nights spent working might be more tolerable if he could share them with his mate. Of course, that would mean he'd have to find her first. Nicole Holland is on the run from the wolf that kidnapped and held her hostage for over a year. The high school teacher wants nothing more than to disappear and start her life over, but it's not easy when the one chasing you can scent your every move. Nicole pulls into Stonepass, Montana, in desperate need of money and a few hours of sleep. However, instead of anonymously slipping in and out of town, she finds herself face to face with another Alpha wolf, one whose liquid sliver eyes call to something deep inside her...even as he declares those words Nicole hoped to never hear again. "You are my mate". Jaryn soon discovers that his newly found mate holds the key to his investigation, and he's determined to not only bring this case to a close, but take revenge for what his mate suffered at the hands of her captor. Nicole realizes that Jaryn has strength to rescue those she left behind, and it isn't long before she's falling under the spell of the moon and comes to relish the feel of Jaryn's strong arms surrounding her. Will the pair be able to stop a psychopath who's bent on creating a race of super-shifters of which he will be commander in chief, or will the mad scientist have the last laugh?